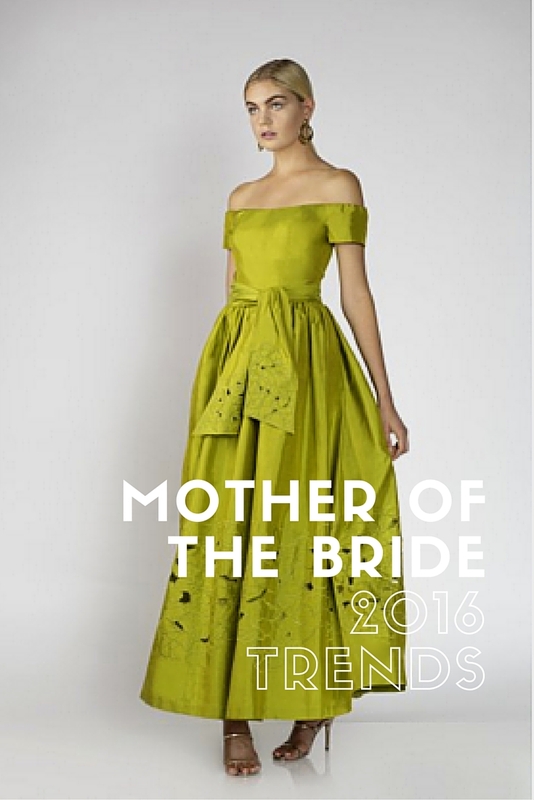 mother of the bride Archives | Fashionitsa by Nitsa's!Fashionitsa by Nitsa's! 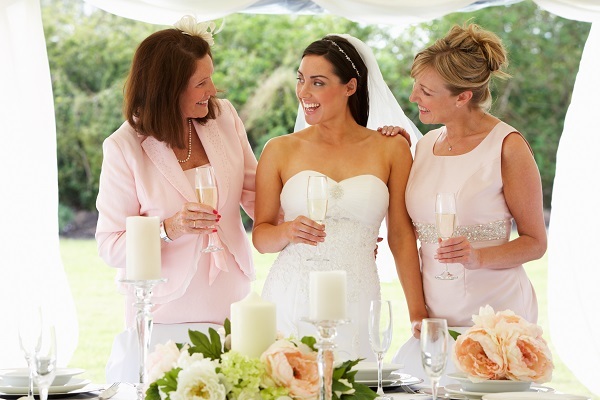 The mother of the bride no longer means frumpy dresses or modest suits. 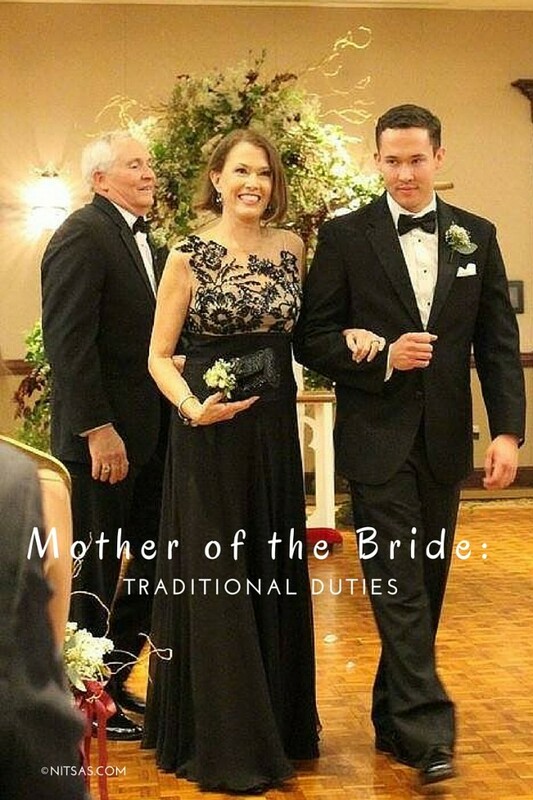 Today’s modern moms want to look up-to-date and elegant, and many retailers and high-fashion designers are now catering to the mother of the bride. Is the bride getting married in a traditional church, a hotel, or outdoors? Will it be a formal or more casual affair? Also, think about the time of year—will it be hot or cold? A knee-length, sleeveless dress with a little jacket for a church wedding is appropriate, while it would be fine to wear sleeveless for an outdoor wedding in the spring or summer or a full-length gown for a more formal event. Avoid the obvious white or ivory, which is reserved for the bride. Choose a color that complements the wedding theme and wedding party attire but without matching the bridesmaids. You may also want to check to see what the mother of the groom will be wearing to avoid any clashes or worse, showing up in the same dress! Whatever style and color you choose, fit and comfort are the most important. You don’t want to feel uncomfortable in a shorter dress that rides up or in something that veers too far from your usual style. If you don’t normally wear sky-high heels, avoid them at all costs! Be sure to take the length of the dress into consideration.The style that flatters most figures sits mid-calf, unless you are petite, then a knee-length dress would be a good alternative. Think about jewelry, shoes, and handbags—all things that can help make your outfit unique. Use these as statement pieces. Add a pop of color with an accessory, especially if you choose a neutral or black dress. Mark your calendars for two upcoming trunk shows in September at both Nitsa’s locations featuring Marisa Baratelli for mother of the bride and mother of the groom. Join us at our Charlotte location on Sept. 18-22 or at our Winston-Salem location on Sept. 24-27 to see the latest styles in Marisa Baratelli’s trademark luxurious Thai silk. Marisa Baratelli Trunk Show for Mothers of the Event! For a quarter century, Madeleine Cranfill, CEO and founder of Marisa Baratelli, has paid tribute to the ancient artisanal craft of Thai silk weaving by maintaining the purity of the traditional village methods in the design of timeless women’s fashion. Cranfill felt called upon to uphold the traditions of Thai silk production when she first visited the country three decades ago. She was inspired by the time and dedication each piece of silk required. With her intuitive sense of style combined with a talent for working with color, Cranfill designed her first line of evening separates for a private clientele in Southern California. In just a few years, Marisa Baratelli became one of the top Thai silk fashion companies globally, expanding with a successful line of custom-order blouses and jackets offered in a full range of colors, prints, and plaids, giving the customer a hand at their own color creative impulse and needs. Within each of the 50 collections, you will find luminescent colors that demand attention, create elegant drama, and define glamour. Marisa Baratelli’s fall 2014 line features special occasion dresses, gowns, and separates in deep jewel tones, classic black, and vibrant prints. Several pieces feature their new hand-embroidered prism effect that adds a unique beauty and interest to each piece. Don’t let your special occasion creep up on you; visit one of Nitsa’s Marisa Baratelli fall 2014 trunk shows for the perfect match! Mothers of the Event, finally, there’s a trunk show just for you. February 6th through February 9th, our Charlotte store is hosting the fabulous Marisa Baratelli line. Fittings are by appointment, so call today to make your reservation. We have a whole list of dressing tips for mothers of brides and grooms here, but the long and the short of dressing for a spectacular social occasion is this: Find your shade and find your fit. Both have the ability to complement, or counteract, your color and body type. Marisa Baratelli is an American-born designer who prides herself on crafting impeccable social occasion separates from hand-woven, Thai silk. Designed to make you look and feel beautiful from the inside out, we highly doubt you’ll have trouble finding the perfect ensemble at this event. Now that your daughter (or soon-to-be daugher-in-law) has her dress and alterations well in hand, you can get down to the business of what you’re wearing on wedding day. Our collection of elegant sophisticated evening dresses and gowns are tailor-made for this occasion. While we have everything you need at Nitsa’s to dress the perfect part, there are a few things that will help you best match your dress to the day. Talk to your daughter to get a sense of the event and the type of attire you’ll need as the M.O.B. You want her to be comfortable with what you’re wearing, but you also need to be at ease. It’s a big day for you, too. Talk to the Mother of the Groom to inform her of your ensemble’s color and formality. While it’s not necessary you dress the same—and probably best that you don’t— keeping length or sleeve style consistent is a good rule of thumb. Find your shade. The best dresses for mothers and mothers-in-law complement their coloring, but don’t clash with the chosen wedding colors. Obviously creams and ivories are off-limits (you don’t want to compete with the bride), but don’t feel as if you need to choose the same hue as the bridesmaids, either. Ask us. 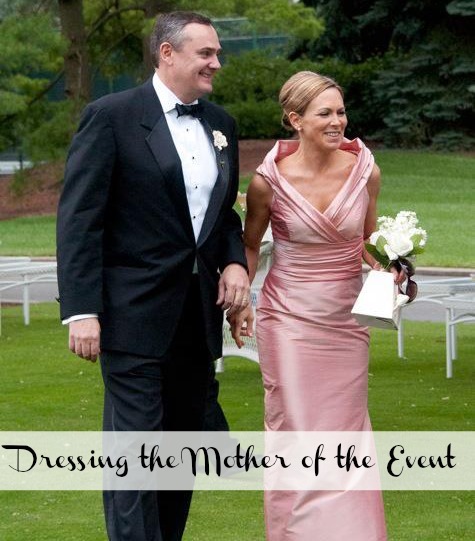 We have a wealth of knowledge when it comes to dressing clients for special events—after all, we’ve been doing it for 40 years. Tell us all you know, and we’ll happily help you select the perfect dress, one that complements you and the wedding, too, whether that’s short to floor length, cap sleeve to strapless.